GREAT OPPORTUNITY FOR INVESTOR, THIS A 2 FAMILY HOUSE DUPLEX 3 OVER 4 OVER 3, IT'S FULLY OCCUPIED TENANTS HAVE NO LEASE. PLEASE DO NOT DISTURB THE TENANTS CALL FOR ACCESS. THIS PROPERTY NEEDS A FULL RENOVATION FROM TOP TO BOTTOM. 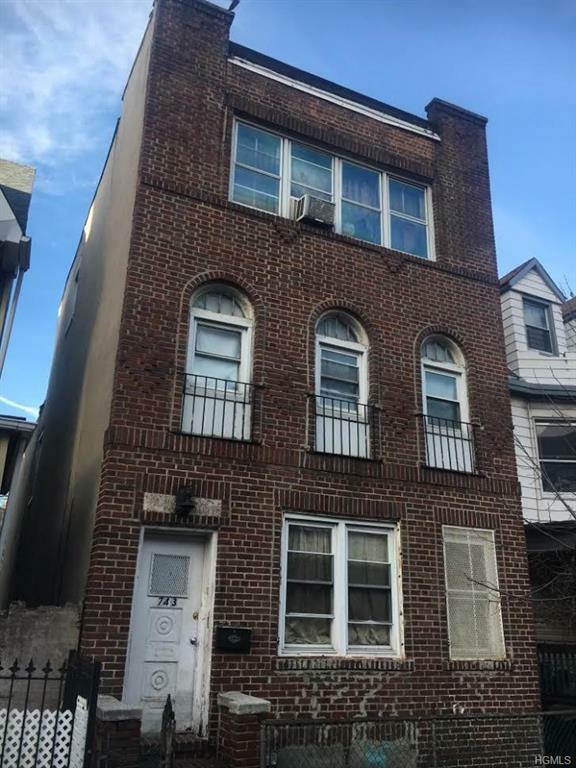 THIS PROPERTY IS FEW BLOCKS AWAY FROM THE 2, 5 TRAIN AND BX17, BX19. Listing courtesy of Jerome Mejia Martinez of Keter Group Inc..